When possible, a child will be reunited with his or her birth parents, but when a reunion is not in the best interest of the child's welfare, our goal is to find a new family that will provide the child with a stable, supportive, and loving environment. Our Intensive Foster Care program finds temporary families, and our Adoption program finds permanent families for children in the custody of the state. 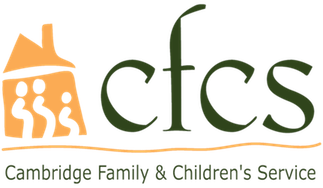 In each case, CFCS provides planning and case management, required trainings, and support services for families involved in these programs. For more information about our Adoption program and becoming an adoptive parent, contact Sarah Medrano-Palmer at smedrano-palmer@helpfamilies.org or 617.876.4210 x4057. For more information about our Intensive Foster Care program and becoming a foster parent, contact Michelle Drolsbaugh at mdrolsbaugh@helpfamilies.org or 617.876.4210 x4060.